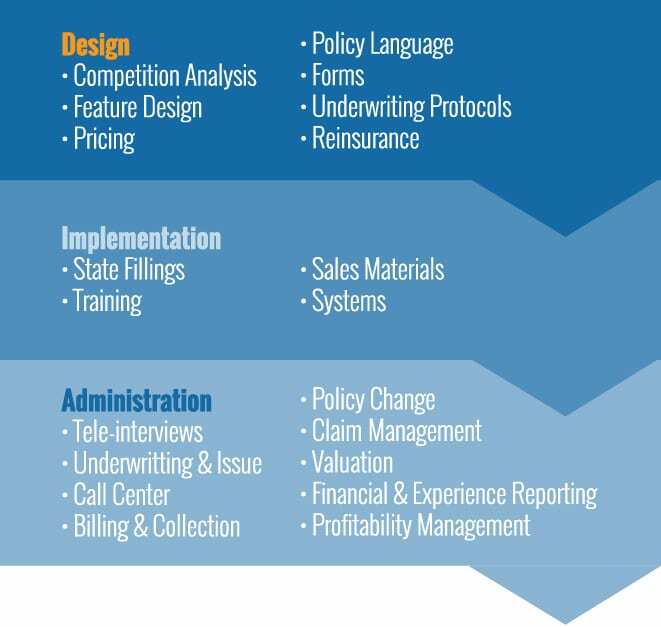 DI Made Easy - Disability Management Services, Inc.
An expert, efficient and reliable product development and administration platform delivered by industry leaders. 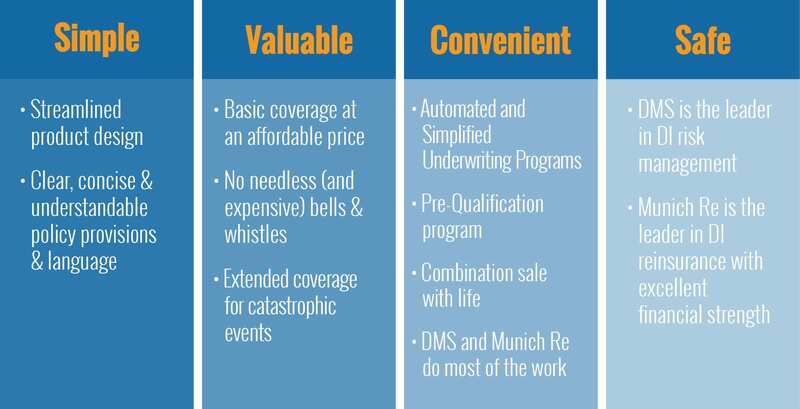 Munich American Reassurance Company (“Munich Re”) and Disability Management Services, Inc. (“DMS”) have come together to create DI Made Easy (“DIME”), a turnkey platform for the design, pricing and administration of innovative disability products targeted to the middle income market. DIME capitalizes on compelling market opportunities characterized by an increasing need for income protection, an underpenetrated market, a favorable competitive environment, and prevailing industry profitability. Why Income Protection for the Middle Income Market? Approximately 38 million families live paycheck to paycheck, including 25 million middle class families. Steve Miller discusses the increasing need for income protection and the efficiency, convenience and safety of the DI Made Easy program. Today, a Long-Term Disability can be Devastating to a Family’s Financial Security. Mortality to Morbidity shift: An increasing number of people survive severe accidents & illnesses but live with disabilities as a result.